Obituary for Dorothy I. 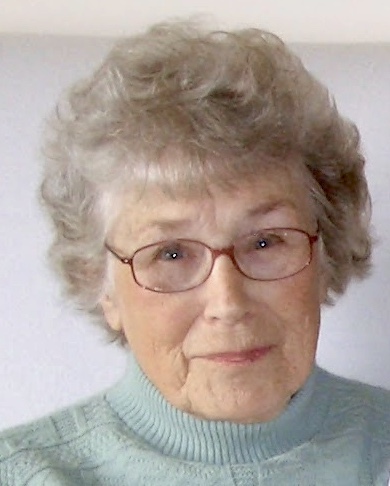 (Hasselswerth) Forman | Schaffer Funeral Home, Inc.
Dorothy Irene Forman, 95, Defiance, passed away peacefully at Twin Rivers Care and Rehabilitation Center on November 6, 2018 after a brief illness. Born at home in Defiance on November 22, 1922, she was the daughter of Roy Hasselswerth and Cora (Ankney) Hasselswerth Bauer. On June 16, 1938, she married John D. Forman who preceded her in death on March 5, 1979. Dorothy enjoyed being a homemaker and took great pride in keeping her home immaculate. She was very independent and lived without assistance until one year ago when she moved in with her daughter, Elaine. Her special talent for deboning a turkey will be missed this Thanksgiving, which would have been her 96th birthday. Dorothy is survived by her daughters, Patricia Forman and Elaine Ball, both of Defiance; grandchildren, Julie (Kirkland) Mizerek and Michael (Jennifer) Ball; great grandchildren, Cecelia Ball, Dalton Ball, Kendall Mizerek and Jordan Mizerek; and sister-in-law, Sonora Hasselswerth. She was preceded in death by her parents, her husband, John D. Forman; her stepfather, Roy Bauer; her brother, Robert Hasselswerth; her sister-in-law, Dolores Shomody and her son-in-law, Martin Ball. Private services will be held. Burial will be in Riverview Memory Gardens.